"The 5,000 or so undergrads at this medium-sized South Carolina school relish its dedication to the training of teachers and overall academic excellence. Small class sizes are just one reason over 90% of graduates rate" Winthrop as excellent or above average in personal development and growth." 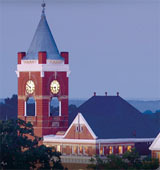 Winthrop became coeducational in 1974 and is located 20 miles SE of Charlotte, SC." Describe the type of student who should not attend Winthrop University and explain why. Describe the type of student who should attend Winthrop University. Why? What is a typical Winthrop University student like? Describe the type of person that should attend Winthrop University. A typical Winthrop student would be a person that is very open to learning new things and able to be well devised person. What are the top 3 reasons someone should attend Winthrop University? What was a typical Winthrop University student like in high school? Describe the type of person that should attend Winthrop University. Winthrop University provides personalized and challenging undergraduate, graduate and continuing professional education programs of national caliber. All eligible bachelor's, master's and specialist degrees in the liberal arts and sciences, education, business and the visual and performing arts are nationally accredited - reflecting the university's commitment to be among the very best institutions of its kind in the nation. What are the top 3 things that students do for fun at Winthrop University? 47% of students live on-campus. A program that focuses on the relationships between food consumption and human development and health. Includes instruction in the cellular and molecular processes of food processing in the human body, related metabolic processes, the relationship of food and nutrition to disease, and nutritional needs across the life span. The average student pays $14,941 for tuition, fees, and other expenses, after grants and scholarships. Total stated tuition is $13,430, in-state and on-campus, before financial aid. Learn more about financial aid at http://www.winthrop.edu/finaid/. Estimate the net price for you at http://www.winthrop.edu/finaid/default.aspx?id=20273. The typical (median) early career salary of Winthrop University graduates is $38,500, according to Payscale. Winthrop University participates in the NCAA Division I-AAA for college athletics. Want more info about Winthrop University? Get free advice from education experts and Noodle community members.